Room 3 @ Wesley Primary School : Touch! Well done to the boys and girls in our touch teams who had an awesome time at the Eden Albert Zone day on Thursday. They represented our school amazingly, showed great sportsmanship and worked so well together. Here's our boys team who came 5th in their grade after a 1-0 win in their play-off (sorry I don't have any pictures of the girls' team). Ki Ora, my name is Krisina. I am a student in room 4 at Wesley Intermediate school. (My class is a Samoan class upstairs). I really like how some of the boys participated in touch! This reminds me of my schools tag teams the girls came 2nd! Maybe next time you could take pictures of the boys in action! 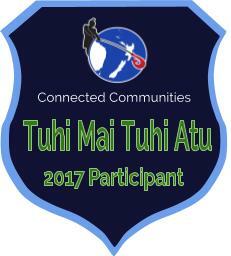 Ki Ora, My name is Tufui and I am a student from Wesley Primary School. I really appreciate what the touch team has done for Wesley Primary School. Also Well done for representing Wesley Primary School so well. This reminds me of when I had a netball tournament and we had to represent ourselves and (W.P.S). Maybe next time can you add a video of the amazing boys playing and girls. Ki Ora, My name is Trinity, I am a student from Papakura-central school. I just wanted to say well done for all the hard work and effort you put in to that day, you must of been wend out. Hi im Sarah from Wesley Primary School maybe you could take pictures of the girl team.